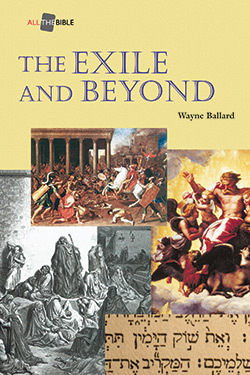 The Exile and Beyond brings to life the sacred literature of Israel and Judah that comprises the exilic and postexilic communities of faith. It covers Ezekiel, Isaiah, Haggai, Zechariah, Malachi, 1 & 2 Chronicles, Ezra, Nehemiah, Joel, Jonah, Song of Songs, Esther, and Daniel. H. Wayne Ballard, Jr. is Professor of Religion at Carson-Newman University. Wayne and his wife Kim make their home in Strawberry Plains, Tennessee. He holds a PhD in Old Testament Studies from SBTS and a PhD in Education from the University of Tennessee, Knoxville. He has served in church staff ministry for more than thirty years across the U.S. He is also co-author of From Jerusalem to Gaza: An Old Testament Theology (Smyth & Helwys).